When faced with the hustle and bustle of everyday life, it is essential to take time for yourself and relax. Are you looking for relaxing activities? Yoga is both a physical and mental practice to achieve this. It is a combination of postures and breathing techniques that allow you to clear your mind. A discipline nearly 3000 years old and originating from India, it was once reserved exclusively for men. Nowadays, we can say that this activity is more inclusive and accessible than ever! So, what are you waiting for to try it? Let’s explore the benefits of yoga! From the outset, yoga is beneficial, as it helps to improve the body’s flexibility. 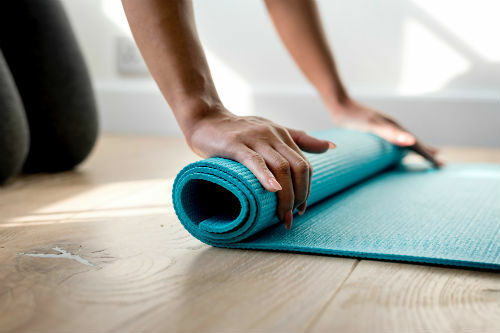 As you progress through your sessions, you will notice that the fluid sequence of movements, combined with deep breathing, make yoga a gentle sport for the body. It will allow you to gain in range of motion. To see a nice progression, we recommend that you opt for regular practice. This will produce significant results very quickly. All you have to do is integrate it into your schedule to plan your weekly dose of relaxation! particularly in flexion, extension, torsion and lateral movements, which promotes good posture. Ready to try? Many people have to live with joint and muscle pain. If this is your case, you can be reassured that yoga could help you to alleviate some of your pain. Yoga is a form of gentle weight training, relieving pressure on the joints. This would, therefore, help to reduce pain associated with certain diseases, including arthritis. The practice would also help strengthen your body and help with bone resistance. Don’t hesitate any longer and try! It is quite normal to feel stressed at times. However, it is important to find ways to deal with anxiety on a daily basis. And yoga is a great way to do it. Mediation and relaxation are at the heart of practicing yoga. 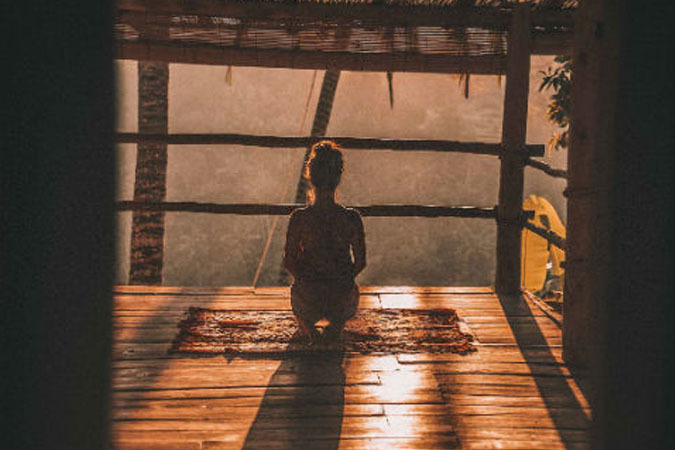 Did you know that in addition to promoting inner peace, the practice of yoga promotes the secretion of various hormones related to happiness and good mood? Indeed! It is said to increase the production of serotonin, dopamine and oxytocin. Anyway, it’s worth a try! Who wouldn’t want a little more happiness in their daily lives? Also, yoga leads to an increase in heart rate and promotes good blood circulation throughout the body. This is not surprising, considering that it is a demanding physical activity at times. Combined with deep breathing, it would ensure good oxygenation of muscles and organs. Many digestive disorders are alleviated by sport. Good news: this would be particularly the case for yoga! In concrete terms, it is the series of movements that would provide the organs with a real internal massage. This is another great advantage of yoga! To end on a good note, why not enjoy a delicious digestive herbal tea after your session? We bet your body will thank you! Yoga is one of the few activities where the mind can completely empty of thoughts. This encourages us to focus on the present moment, promoting the ability to concentrate. For this reason, regular practice would even improve memory and skills related to problem solving. Then, the skills developed help in all kinds of stressful or difficult situations in everyday life. To stay zen, yoga is a must try! Being fully aware of your body is a skill that develops over time. Naturally, the human mind is always inclined to wander. However, yoga encourages people to refocus on body sensations and controls the breathing. It also helps to prevent or cure certain injuries. Keep in mind that it is important to listen to the different signals the body sends us! This posture is often the first one that is performed while standing. For this posture, it is important to stand up straight and extend your arms along your body, palms forward. It is recommended to align your feet shoulder width. This posture symbolizes rooting on the ground, allowing you to connect with the ground. It’s up to you to try it! The lotus position is a sitting posture that is very popular with yogis. First of all, you have to sit on the floor, then bring one foot on the opposite thigh. In this position, opening the hips is essential, which will help to avoid injury. Then place your hands on your lap and that’s it. The Balasana posture, also called the child’s pose, is a relaxing position. It is called that because it recalls the fetus in its mother’s womb. First, you have to get down on your knees on the ground. For best practice, the hips should be aligned above the knees. The heels are brought back under the buttocks. The neck and spine should be elongated and the hands should be on the ground near the feet. By doing this posture, you will enjoy the many benefits of yoga! Finally, remember that yoga is above all an activity of well-being and relaxation. In addition, the yoga mat is the only essential accessory to practise the various postures you will be doing. If you want to explore yoga, it is possible to try it out in studios, sometimes free of charge or for a low fee. This will help you find the type of yoga that is right for you. At home, why not watch videos on the Internet to learn more? To end your yoga sessions in relaxation and to stay hydrated, we suggest you serve yourself a delicious Japanese green tea! Yoga coming soon to A Healthy Solution For You!